Yet another female version of a popular comic book personality. And they say Hollywood’s running out of ideas, just look at what comic books have been doing since forever. 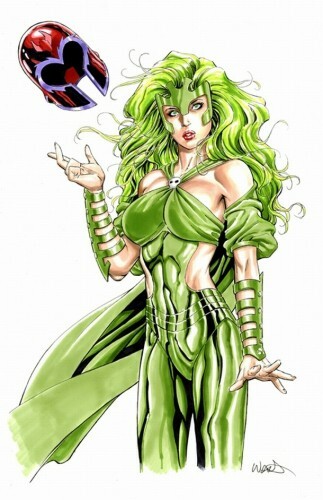 Did you think she was a female version of Magneto or Dr. Polaris (DC)? I thought the helmet was there to shield him from Xavier, what’s she got to do with it? It is, but the helmet is implying parentage. Lorna Dane first appeared as Polaris in 1976. She’s hardly a symptom of a current fad. Who said it was a current fad? Krypto the super dog was invented in 1955.